WOW! 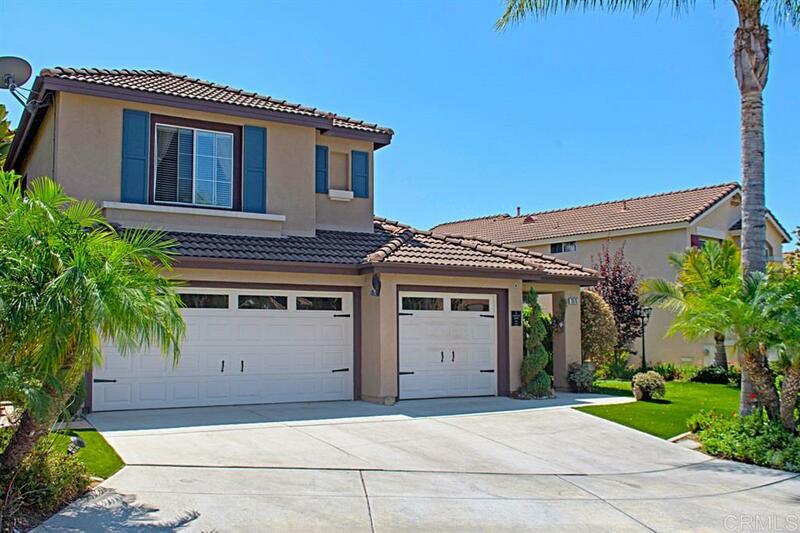 Stunning upgraded property located on a cul de sac in desirable Meadowood! Step inside to custom paint, wood & Travertine flooring, designer carpeting, and bathroom & kitchen renovations. 100% of flooring has been replaced! Backyard is great for entertaining, with tropical landscaping & in-ground spa! See supplement., Tons of upgrades in this stunning property in Meadowood! The entire interior has been painted with designer colors and quality paint. Hand-scraped acacia on main level, Travertine in kitchen & dining, and designer tile in foyer and laundry room. Quality designer carpeting upstairs. Upgrades include plantation blinds in den, dining, and kitchen, upgraded light fixtures and chandeliers throughout, built-in speakers in multiple rooms, ceiling fans throughout, custom wainscoting, recessed LED lighting, and more! Upgraded cabinetry, granite, new sinks, and tile flooring in bathrooms. Custom cabinets, shiplap backsplash, & new quartz counters in kitchen. New $5000 sliding rear door! Exterior was just repainted in 2014. Energy upgrades include level 2 electric car charger, high-end synthetic turf, and on-demand hot water heater. Backyard has lovely brick pavers, outdoor kitchen with TV, in-ground spa with new decking, and a great variety of fruit trees. All in a wonderful neighborhood with Low HOA and no Mello Roos! HOA includes pool, spa, clubhouse, tot lot, basketball court and picnic areas. TOP RATED SCHOOL DISTRICT!